needs? Why have we not signed a centre back to improve the quality to prevent shambolic defending like we saw against Crystal Palace on Saturday? Why, in failing on both of these aspects of bringing much needed players in, have we allowed potentially key players that could possibly have helped solve our issues to leave on loan in the shape of Mbiwa and fan favourite Ben Arfa? Why? Why? Why? The question has no logical answer, not in footballing terms anyway, which is why we never receive one. We don't even receive a possible explanation we could understand and be comfortable with to put our anger, worries and disillusion at bay. All we get is some tripe from Pardew which has been drafted up by the club involving excuses and propaganda. When will it end? Well the answer to that question leads to another one which nobody on the face of the Earth can possibly answer. The only way this continuous middle finger up at the fans will end is when Mike Ashley leaves our football club and is never seen within our beloved St James' Park ever again as he relinquishes his ownership. This will only be possible in three ways a) someone buys him out, b) he signs over all control over to someone else or c) he dies. I will let you decide which one is the most likely. Now the question I have on my mind constantly regarding this troll of a human being is the following: Why is Mike Ashley even the owner of NUFC, what does he actually get out of it? This question seems impossible to answer. The only reason someone should own a football club is that they receive some kind of joy out of it. 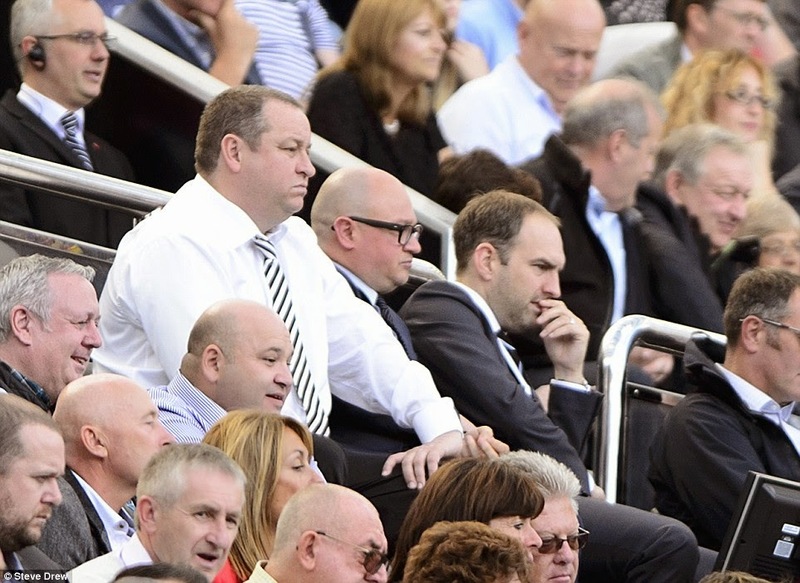 What joy does Mike Ashley get out of it? He seems totally uninterested in improving the team to make it challenge for trophies or get into the Champions League. He obviously knows the better the team is the more money it will make in revenue so why does he insist on not doing it? Does he genuinely believe selling our best player then spending that money on a few replacements is a recipe for success? Which club is he using as his blue print? Arsenal? The club which went 9 years without a trophy despite having all aspects ever needed in which to do so. just as much as the rest of us right up until they went a whole season unbeaten and looked the power house club in English football. Since then they have looked nothing of the sort due to one blatantly obvious reason, they chose to not invest in the team and focused purely on balancing the books. Are Arsenal fans delighted they have a cracking balance sheet to speak of over the past decade whilst watching Liverpool, Man Utd and Chelsea all win the Champions League? Plus witness the emergence of Man City. A football club in fact that has 'stolen' plenty of very important players from Arsenal either directly by buying there players or indirectly signing players Arsenal may have looked to have signed themselves. 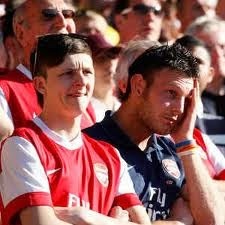 The answer to whether Arsenal fans have been happy is a blatant no. The reason being no football fan wants to witness their football club not just fail to reach its potential but seem content at the fact of doing so by having alternative agendas. Arsenal should no doubt have built on a team that went a whole season unbeaten and a reaching a Champions League final a year later, their blueprint of how to run a football club is blatantly flawed and is used a complete cop-out for any tight fisted, clueless owner. Exhibit A being our very own Mike Ashley. Our club is self sufficient Ashley and his administration will tell us. So? What does that even mean? Are they telling is our football club now runs on a yearly basis of no longer losing money and its income is higher than its outlay? Well fantastic. So does that mean we are no longer in debt? Well judging by the fact the football club still has a debt of around £250 million in the shape of a loan to Mike Ashley then the answer is a big fat no! Anyone who still thinks Ashley 'bought' this club are very much mistaken. He acquired this club by purchasing the shares required to takeover than stuck all of that capital into a his holding company as a huge debt against the club. This totaled to a debt £132 million. A controlled debt, but a debt all the same. He also pumped another huge loan into our football club after we were relegated of £110 million to basically pay for his crippling mistakes on the pitch which resulted in the football club losing millions in Premier League status as a company. The only positive aspect Mike Ashley has ever brought to this football club is the fact he has stopped the huge interest payments we were forking out to the bank for the debt our previous board of directors racked up chasing the Champion League dream. To put it in simplest terms possible, the club now owes Mike Ashley millions for saving us. Now controlling our debt as a football club is very good indeed. Now taking a football club forward in order to clear this debt or indeed make money for yourself as the owner must surely be his motivation. This would be logical would it not? If he has lost this motivation then putting the club up for sale to move on with your life would be the only alternate action. Mike Ashley is neither. Which I find very very strange indeed. The BBC showed Mike Ashley sat in his seat on Match Of The Day on Saturday against Crystal Palace whilst we were 3-2 up in injury time, the look on his face was not of an owner pleased with his club seconds away from a victory. It was one as dull and bored as someone not interested at all at what is happening on the pitch and can't wait for the game to finish so he can leave and so something more entertaining. All of this goes back to ultimate question of 'Why is Mike Ashley the owner of Newcastle Utd, what does he get out of it?'. From the looks of it in all aspects. Absolutely nothing. So why don't you just stick the club on the market or if you can't find anyone, at least look to employ people who would get something out of it and who would have the football clubs best interests at heart. Which is primarily the football team on the pitch followed by keeping the books manageable. It isn't rocket science, its just football. A very simple game when you have common sense and some knowledge of the game to go with it. Losing at home to the mackems two season in a row 3-0 and three games in a row in total for the first time since 1924. Losing 6 league games in a row. Never reaching past the 4th round of the FA Cup in 4 attempts and counting including 3 third round knockouts to lower league opposition. Finishing 5th from bottom with a team aiming for Champions League qualification. In three and a half seasons finishing 12th, 5th, 16th and 10th. Playing negative, defensive, game choking tactics and sometimes showing actual strategy whatsoever. Being unable to score from a corner for two years. Two years with no goal from a corner. Just think about that. It's seems almost impossible. Holding the record for most games without scoring in our history. Newcastle have also failed to score in 66% of their games this calendar year of 2014 which is easily the lowest of any of the 92 clubs. Pardew has a record of failing to win at home for over 50% of his games. Over 50%!! Scary. 4 very long years. Looking at the above sackable offences we have had manager be sacked themselves for less in the Premier League and most were actually deserved. Ruud Gullit got beat at home to the mackems just once and throw in the fact the clubs poor season beforehand and our best player in Shearer being made a scapegoat, he got the chop. Pardew has lost two of these fixtures back to back and has already got rid of Ben Arfa as his scapegoat, who would bet against another mackem defeat this season? Kenny Dalglish and Graeme Souness finished 13th and 14th respectively in there first full seasons, Pardew finishing 5th in his blows them away. However finishing 16th afterwards is the worst finish any manager has had in the Premier League, disregarding our merry go round relegation season, and is no doubt worthy of him being sacked for this dire attempt of a season. Europa League progression to the Qtr Finals used an excuse does not sit well especially having no domestic cup run to speak of. 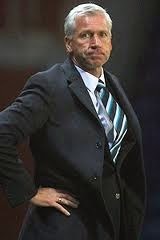 The football Pardew chooses to play also does not go down well at our football club either. To have a scouting team bring in some the most talented players we have seen at this football club to be strangled by a naive negative manager is a depressing site to say the least. Sam Allardyce got the sack for attempting this non-football philosophy but at least he didn't have players like Ben Arfa and Cabaye at his disposal. Pardew has consistently wasted all of our scouting networks monumental efforts which is perhaps the biggest reason of them all why he deserves to be sacked. To be a poor team is one thing, but to be one with class players in the squad is unacceptable. For ANY team. his position. This is a cancer that can not be cured. The only way to get this club to reach it's true potential is to remove the contamination that has created and kept this cancer rooted into the heart of our club. Mike Ashley needs to go which will form a domino affect of having managers like Alan Pardew hopefully never return for a long while to come. The administration Ashley insists on employing are again a massive dead weight on us all as having 'ambitions' and 'targets' of such mediocre standards of top ten in the league and NO interest in domestic cup competitions is nothing but handcuffs to keep our club down. 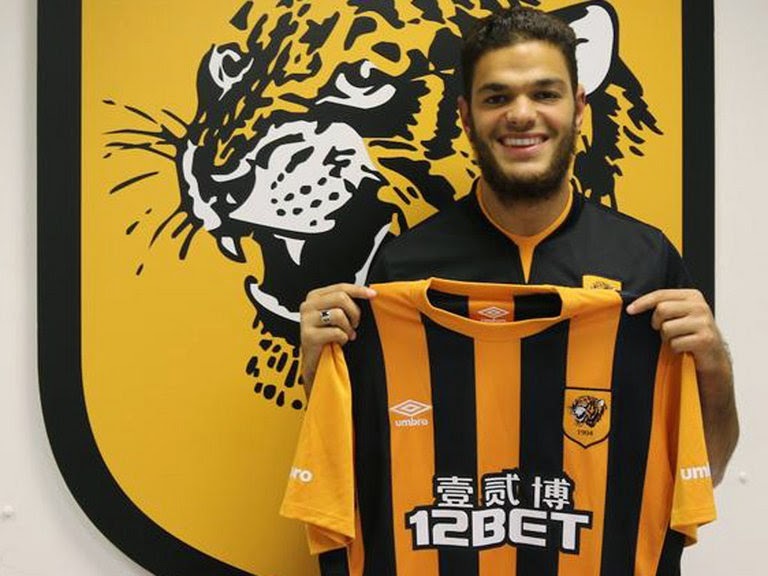 This transfer window has shown that Newcastle United have dropped so dramatically within the footballing world that not only has our most beloved player signed for Hull City, that's HULL, but top players are choosing to sign for Southampton rather than us. Toby Alderweireld was desperately needed to help plug our defensive frailties, however he would much rather play on the south coast for a team that were in League One a few years ago. A team no less that sacked a certain Alan Pardew. Now look at how much that club has grown and reached it's full potential since getting rid of his negative influence. May that be the most poignant fact of them all!! Ashley has to be ousted for our club to move forward. He is the source to the problem and it has to be killed. As long as he is here I will continue to ask the question of 'Why is Ashley still here?' can someone ask him please because none of us have a clue! You ask, why is he still here? How can any manager survive what he has been responsible for over the past few years? He hasn't been sacked because he is doing a fantastic job.. for Ashley! He keeps us in the premier league "Where the money is"
He doesn't finish high enough to get into Europe, if he did, Ashley would have to buy players to cope with the two competitions, "or risk relegation"
He manages down the fans expectations so they do not kick up too much of a fuss when told "we can't compete with the likes of Southampton"
Why would Ashley sack him? The question is why is Ashley still here. Apolgies for confusion. 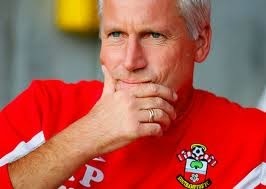 Pardew is not going anywhere, agreef. Thats why the only way we can get rid is Ash needs to go. Yep, what AP has got away with is a total disgrace. Just one of those things on the list is a sackable offence.....never mind all of them. But, I bet without a doubt in my mind whatsoever, that, after all that's being mentioned above, u are all lining cashleys pockets, week in week out, by season ticket sales, shirts etc, I will never step foot in Sjp again, until they are gone, which is sad, but I won't line his pockets. That's the only way to beat this man, by taking money from him, until that's done he will forever haunt this magnificent club. Well I can honestly tell you I havent been to game since the very first home game under Sam Allardyce in 2007. I havent even bought a home shirt since 2006. I dont just moan or complain, I speak with my feet and wallet as well as my site. You will never see me at a game whilst Ashley is here. Simple as. Great article. Couple of typos - '66% of there' and 'depressing site'. It's hard to believe that the apparent 'man of the people' who appointed Keegan and mingled with the fans has become the person he is now. With better counsel from the offset he could've been an excellent owner but all that's dead and buried and in many respects he's been incredibly vindictive. I'd happily suffer relegation, dwindling attendances and five years of relative obscurity in the Championship if it meant getting rid of Ashley and Pardew and someone with the club's best interests at heart taking over the club. Five more years of watching inept, negative football, seeing talented players regress as their skill is coached out of them to be replaced by defensive awareness and predictable mediocrity while we survive relegation and maintain 50,000 crowds wearing Wonga sponsored shirts to perpetuate this sorry state of affairs will have me heading to Jarrow or Gateshead for a more palatable football experience on a Saturday afternoon. Many thanks. What you read was literally first draught, didnt have time to check it, so im happy with just two small typos tbh. He's proved nothing but to be a totally pig headed, naive, arrogant **** to be perfectly honest. I have no respect for him whatsoever. I wouldnt take relegation again as I doubt we would come back that quickly. I just want him to become completely bored or find a fresh challenge for himself and leave for good. been suggested by many contributors that the only way Ashley is going t react is if we boycot SJP. It is now 6 points from a possible 51 in the premier league and Pardwho still has a job. If Fatman was all that he's supposed to be, wheedling out non performers, parking tanks on the lawn etc etc the Clueless Muppet would have been signing on by now. There are two major problems here. 2. Pardwho has had no education or learning at the feet of the great football strategists like Michels, Herrara, Sacchi even SAF, Shankly or Clough ? He's a window fitter who played for non league teams while learning the art of double glazing and now he's been given the role of managing arguably the fourth largest club in the UK ? Two individuals who are both incapable of achieving their goals in life but who are happily having a go because none of us within the fanbase can be arsed to make life difficult for them !